Our family likes to eat vegetarian at least once or twice a week and beans are one of the ways that we do that. They offer great nutrition and are filling! 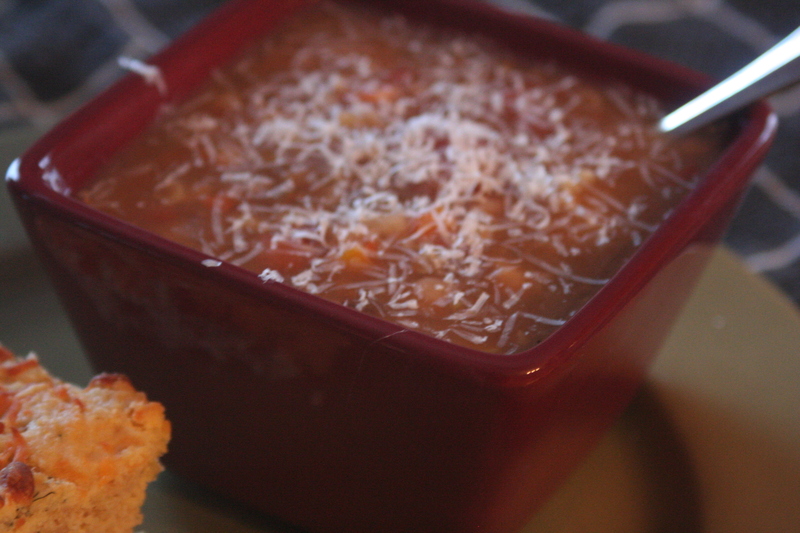 Here is a bean soup that we all enjoyed and it was great as leftovers! 1 c. celery, diced, opt. Rinse the beans and place in a pot. Cover with water and soak overnight. Or for a quick soak - bring the pot of water to a boil, turn it off and let the beans soak for 1 hour. Drain and follow the recipes below. Drain the beans and add the rice, water, salt, and pepper. Cover and bring to a boil. Reduce heat and simmer 1-1/2 hours until the beans are tender. Add onions, carrots, celery, chili powder, tomatoes, garlic, lemon juice, and baking soda (soup will foam with the addition of the soda). Simmer 30 minutes more, stirring occasionally or until vegetable are tender. Serve topped with freshly grated parmesan cheese if desired. Thanks, Leah! We are actually working on that and hoping to have them in a printer-friendly version in the few weeks! I made this last night and it was delicious as usual. I also made the corn fritters and they went very well together. Thanks for the great recipes. Have you ever tried freezing this recipe? Would you do anything different in the cooking?